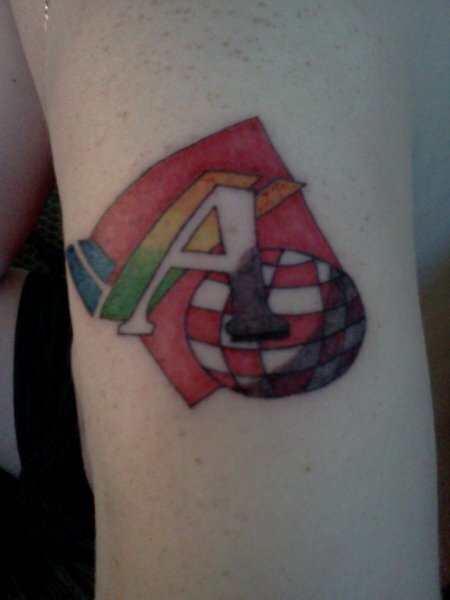 FishGuy876's Blog | My New Amiga Tattoo! « Toshiba L675D And Kubuntu 10.10 Maverick/Lucid No-Boot – SOLVED! Since about 1998 I have had my eye on a nice Amiga tattoo design that I fell in love with the moment I saw it, and so finally last weekend I went ahead and had it inked onto my left arm. Over the years I had been putting it off for various reasons, cost and what-not. One of my neighbours was having a tattoo party and so I finally decided now was the time to get it done! The Commodore Amiga has been a major part of my life for many wonderful years. I moved to the Amiga after spending several years coding on the ZX Spectrum. I learned to code C on the Amiga using SAS/C, and a few other languages including AMOS Basic and Blitz Basic. My Amiga is still a big part of my life, I currently have 3 of them in the house as well as a Pegasos II, and I am working on putting one of my A1200 machines into a tower (although its turning out to be a bit on the expensive side). The tattoo was hand drawn & inked by local tattoo artist Jeff Benedict. 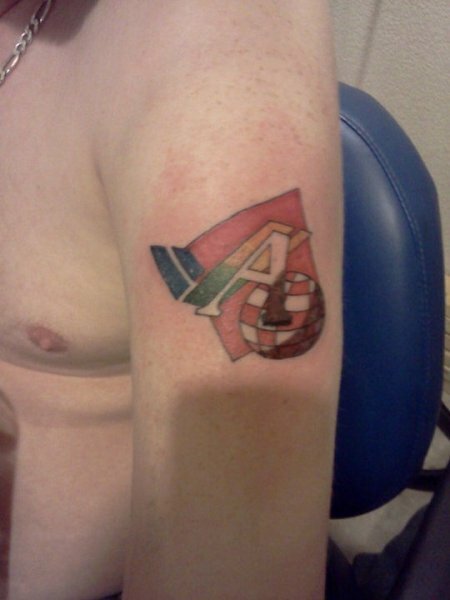 The dark colouring on the boing ball and A is shadow and will eventually lighten up as my arm heals. The images represent the various logos use by the Amiga. AMIGAAAHHH!! This entry was posted by FishGuy876 on April 1, 2011 at 9:37 am, and is filed under Amiga. Follow any responses to this post through RSS 2.0. You can leave a response or trackback from your own site.